Glycerin is an ingredient that can be found in many beauty products because of its moisture locking properties. It is a form of sugar alcohol that is available naturally in vegetable oils and can also be the byproduct of soap making. Glycerin is a humectant, or hygroscopic in nature. Humectants attract moisture from the epidermis and the environment to the surface layers of the skin. Apart from moisturizing, it also has cleansing, lubricating and soothing properties. • Absorbs moisture – It can absorb and retain moisture from the air to keep the skin well-toned, moisturized and hydrated. Using products with this ingredient improves the hydration of the outer skin layer. It also decreases the intensity of melanin, a skin darkening pigment. However, it wil not improve hyperpigmentation. • Strengthens skin barrier – It increases the thickness of the epidermal layer and improves barrier function. This means that the harmful chemicals stay out of the skin and moisture stays in. • Removes dead cells – Our skin cells are held together with the help of proteins. These proteins also clump the dead cells together which prevents new ones from forming. What is useful about glycerin, is that it helps the process by breaking down the proteins and removing the dead cells. • Heals – The substance is also able to guide cells to grow and mature more effectively, thus helping the skin heal. Glycerin can also act as a natural medication for fungal infections like eczema and psoriasis, by reducing bruising and helping the infected tissue and cells to repair themselves more quickly. Due to its different benefits as listed above, the answer to the question of what is glycerin useful for can be found in several skin care products. • Soap – Glycerin is found most commonly in different kinds of soaps. Soaps that have this ingredient in them tend to be less drying on the skin. They are also milder and gentler, making them suitable for children. • Cleanser – Cleansers with infused glycerin can be used on both oily and dry skin. They can remove makeup and impurities gently. Before purchasing, it is important to look for a cleanser without irritating fragrances or preservatives. • Moisturizer – Because it can retain moisture, glycerin is an important ingredient in moisturizers. It hydrates the skin and also prevents environmental factors from degrading the skin further. 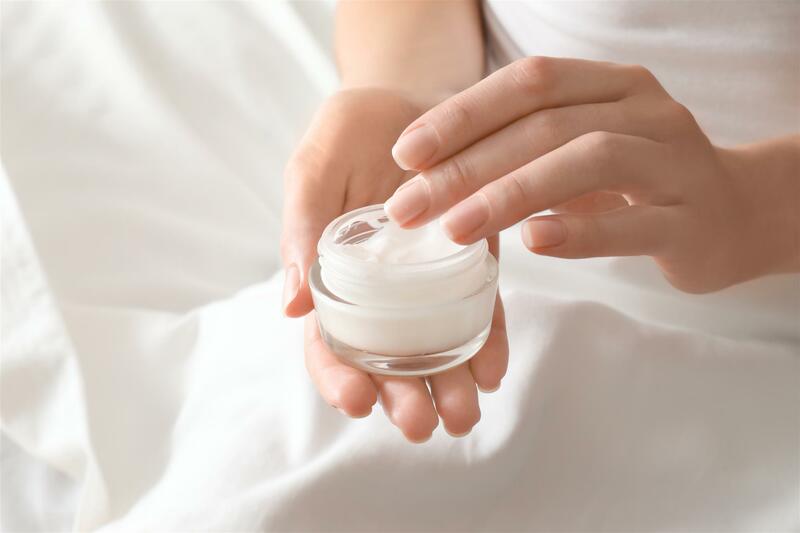 For some people, “oil-free” moisturizers may be more beneficial, as these types of moisturizers do not contain oils that may clog pores. Glycerin is also used in other skincare products like body lotions, toners and cosmetics. Topically, this ingredient is usually safe for all types of skin. It can also be used to remove blackheads. Using glycerin lip balm before going to bed is an excellent remedy for dry and chapped lips. Using products containing glycerin generally, doesn’t pose any serious harm to the skin. But using it directly in the pure form may cause some problems. • It is not advised to use pure glycerin during hot and dry weather, as it can cause the skin to lose its moisture and form blisters. • There are some personal lubricant products that contain pure glycerin. They can cause yeast infections in women. • While natural glycerin is good for skin, some forms of synthetic version of this ingredient, found in some skincare products, can be harmful. Glycerin is a widely used cosmetic ingredient. Here is a list of brands that feature glycerin in their formulations: Meaningful Beauty, Rodan and Fields, Nerium, Boots No 7, Tatcha, Perricone MD, Murad and Mario Badescu. For safe use, it should always be used in the diluted form. Also some individuals may have an allergy to this ingredient and using products with glycerin may cause itchiness, redness and rashes. I don’t see how glycerin used on the skin can be good for long term use when as a humectant it not only pulls moisture from the air when humidity is over 65%, but when humidity is low, the glycerin pulls moisture from the epidermis! You are basically dehydrating your skin from the inside out. This is very aging. How can that be good? I found many of the products I am using including both very expensive creams and drugstore products contain glycerin as the second third or fourth product from the top. I gather this is a moisturizing ingredient from what I have been reading but I find it very sup rising that you can spend $20 or $200 and the products all have very similar ingredients. I have sensitive skin and only use products that contain glycerin. I use a glycerin soap, cream and even my shampoo has glycerin. I find that products that do not contain glycerin do not moisturize the skin unless they are oil based. So I think glycerin is the only non oil based ingredient that works to moisturize the skin.